Jet2 is the UK’s 8th largest airline, with its base at Leeds Bradford Airport. The low-cost airline transports passengers to 58 different destinations. Delays and cancellations do occur with this airline but they rank as one of the most punctual operators in 2016. Passengers on a Jet2 flight are entitled to compensation up to €600 for delayed flights or flights cancelled without adequate notice according to the EC Regulation 261/2004. 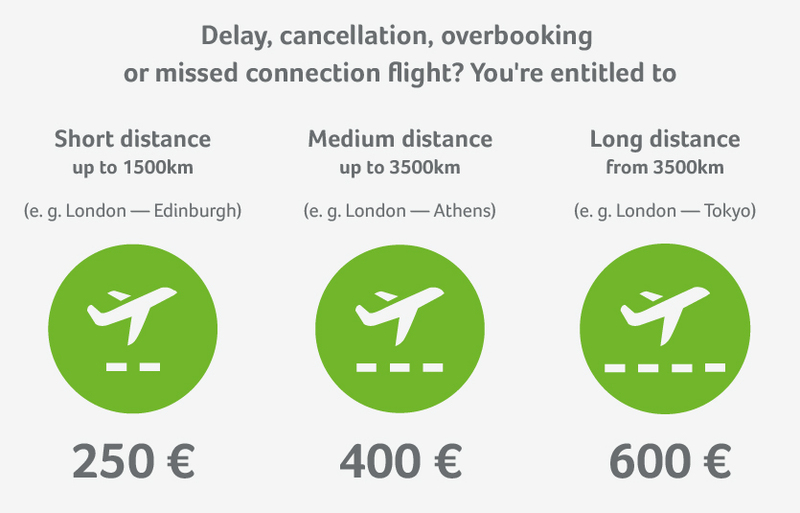 To know how much you can claim, use our free flight compensation checker. In cases of flight disruption with Jet2 we’ll endeavour to uphold your rights. You can easily check your eligibility with our free online calculator. If your claim is valid then you can process it with us online. You have the right to withdraw from your flight if delayed more than five hours. The airline is obliged to either reimburse you for the costs or provide alternative transportation. The airline must organise a hotel stay and cover the costs of the necessary transportation to and from the airport and the hotel. It is best to get confirmation of this in writing from the airline. Thanks to our experience and expertise, we enforce compensation with a very high success rate. This confidence allows us to offer a completely free service in unsuccessful cases! Jet2 has transported over fifty million customers since its inception in 1983 and currently has a fleet size of 71 aircraft. The low-cost airline links 58 airports and is actively continuing to expand. In 2016 Jet2 was one of the best performers in terms of punctuality in the UK. The numbers for that year show Jet2 are a reliable option, however, they did still suffer some disruption as all airlines do. Jet2 often leave their customers waiting for the compensation that they’re due. This airline also sees Flightright often going to court in order to secure the payout. You have between 5 hours and 28 days to complete your online check-in with Jet2. They also have an app to make things even easier, which will allow you to check-in and also keep up to date with departure information. Check-in at the airport is not advisable if you want to avoid queues. More information about Jet2 can be found here.